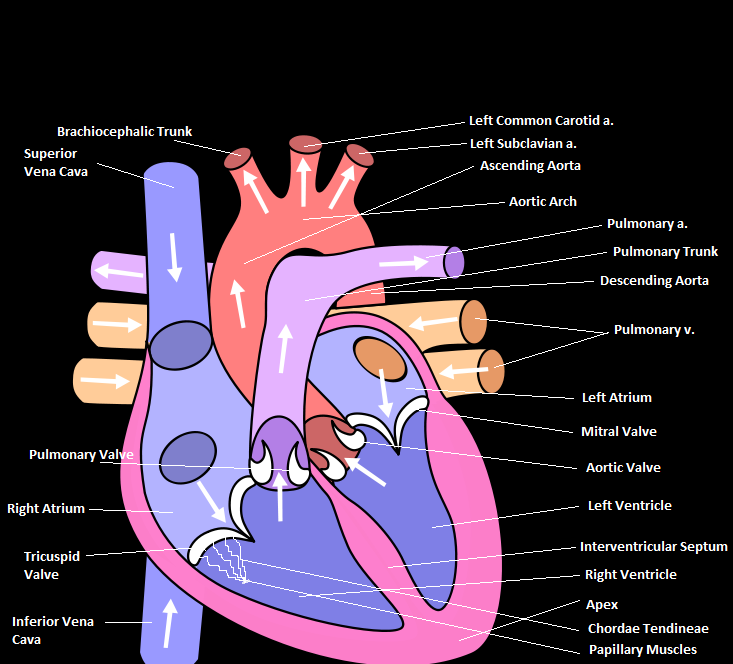 Not labeled in the diagram are the layers of the heart. From most superficial to most deep. the layers are as follows: epicardium, myocardium, and endocardium.